The wonderful Bella's House is a beautiful introductory dolls house. 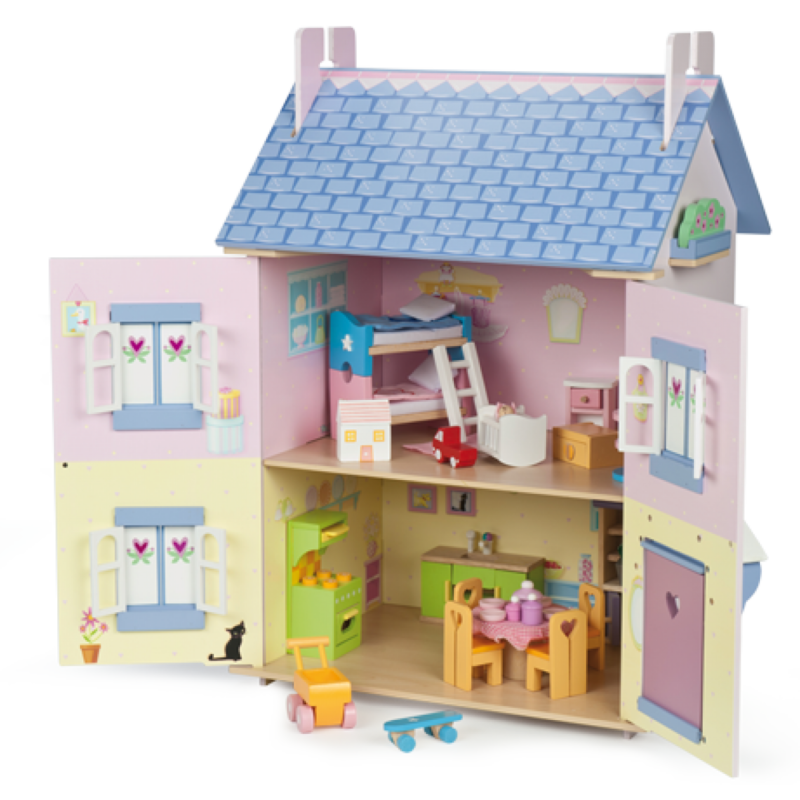 A fully painted and decorated doll's house, Bella's House comes with a thirty piece starter furniture set, so everything you need to set up home is all included. Finished in lilac and vintage rose colours, with a floral motif and fully opening shutters, windows and doors, this is the prefect first dolls house.